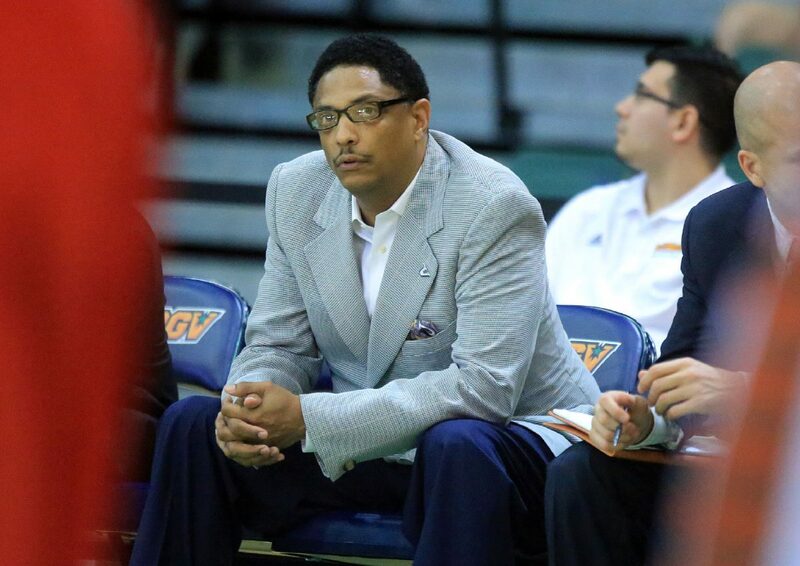 EDINBURG — When Lew Hill took over as the UTRGV men’s basketball coach in 2016, he set a goal of playing more home games. Now, entering Hill’s third season, the Vaqueros are set to establish a new program record for home dates. UTRGV will host 18 home contests this year — more than any other season in the men’s basketball program’s 67-year history. The UTRGV athletics department unveiled its 2018-19 schedule on Tuesday. UTRGV announced an average attendance of 845 for last season’s 16 home games at the UTRGV Fieldhouse. The athletics department had been in discussions about moving this season’s home games to Edinburg’s new Bert Ogden Arena before announcing Monday that all 2018-19 home contests are scheduled to be played in the UTRGV Fieldhouse. Hill said he has stopped using Bert Ogden Arena as a selling point when he makes pitches for recruiting and scheduling. Looking to future seasons, Hill said 16 home dates is a reasonable target, with 18 more likely to remain an outlier. Hill said scheduling tough is also a focus, with a home matchup against Oklahoma on Nov. 9 and visits to Houston on Nov. 28 and Texas Tech on Dec. 28. Houston advanced to the NCAA Tournament’s Sweet 16 last year, while Texas Tech made a trip to the Elite Eight. Hill said both teams play a similar style to WAC powerhouses New Mexico State and Grand Canyon. Hill added that playing the top teams in Texas also limits travel expenses while building UTRGV’s brand around the state. The Vaqueros open the season Nov. 6 with a home matchup against Texas A&M-Commerce.